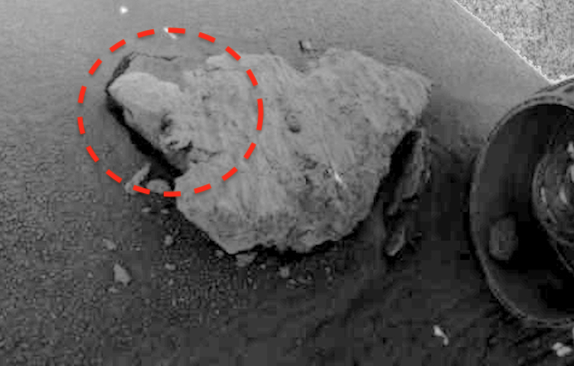 UFO SIGHTINGS DAILY: Strange face found on rocky object in front of Mars Rover, Nov 2018, UFO Sighting News. 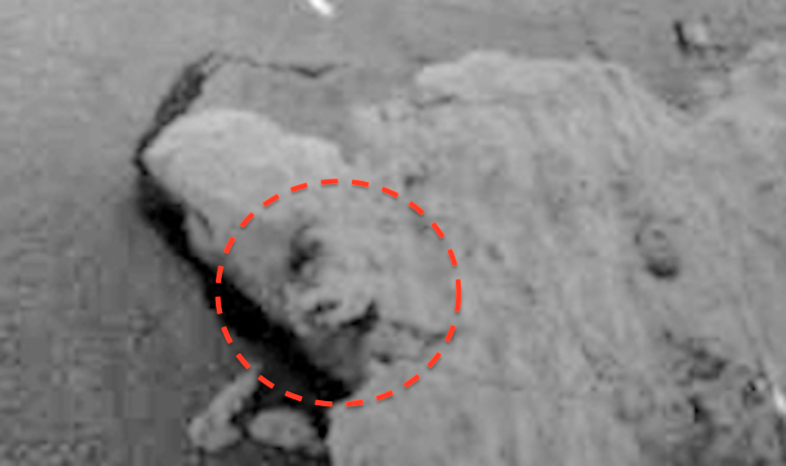 Strange face found on rocky object in front of Mars Rover, Nov 2018, UFO Sighting News. A face laying on its side on the edge of what appears to be a rock, or it could even be a petrified life form of long ago. What ever it is, the facial markings are indisputable The eye, nose, open mouth, all clear signs that a face had been carved into this object, or had been on it while the life form fossilised. 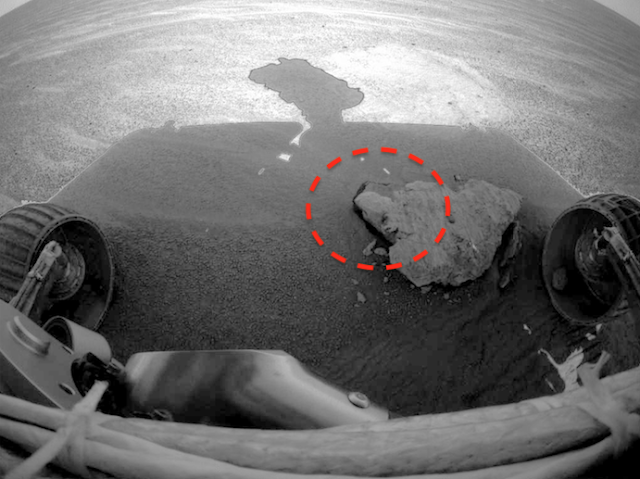 The Mars rover is hovering over it, how is it even possible that the scientists at NASA missed this? I don't think they did. They would have to be complete imbeciles to not notice that face in front of the rover. They probably noticed it, examined the area and moved on to better things. Its just a face...or a rock with a face on it...I'm sure they would rather keep their job that tell someone they see a face laying there in front of the rover. Silence is golden at times. Or so we have been programmed to believe.